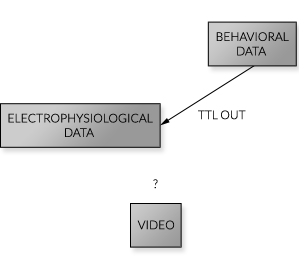 Behavior and Electrophysiology data streams can be readily presented and correlated, each to the other. 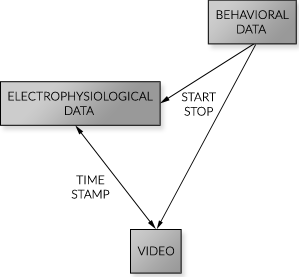 Events and latencies of specific interest can be selected by programming the "Data Analysis Sets" within the ABET software and these can then be imported into the electrophysiology data. For Touch screen environments, ABET II Touch provides the programming environment, and resides on the Whisker server that controls the millisecond presentation of the touchscreen images. This is installed on the Behavioral System PC along with the touch detection software. 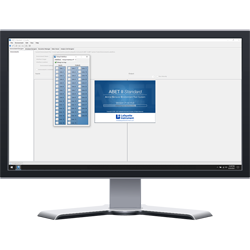 The behavioral data within the ABET II Touch/Standard can be configured so that the output contains the desired events and latencies for export into MCS Analyzer. Events user marked in the time-stamped video can then be selected and added to the ABET Analysis file within the MCS Analyzer for export for further analysis. The MC Suite OEM Electrophysiology resides on the Electrophysiology PC along with the embedded Quad Video application software. The video can be viewed as part of the MC Analyzer and can be dragged to and from a third screen, where all four chambers can be observed together. 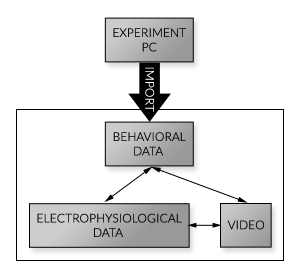 In our Behavior Integrated Electrophysiology systems, the MCS Suite OEM Electrophysiology resides on the Electrophysiology PC along with the embedded Quad Video application software. 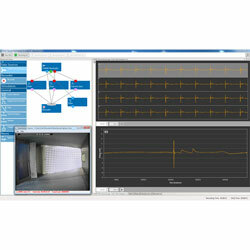 Operant monitoring and control on the PC with the Animal Behavior Environment Test (ABET) system. Operant monitoring and control software for use with the Touch Screen modular hardware. This enhanced version of our popular ABET II Software for Touch Screens allows for the display of video and audio stimulus while monitoring for touch screen responses.